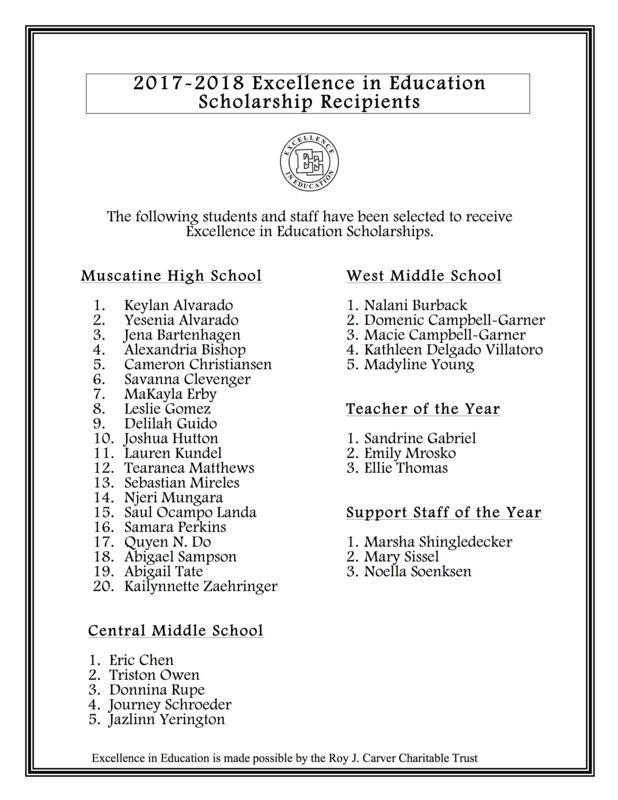 Congratulations to the following students and staff for being chosen as a 2018 Excellence in Education Scholarship/Award Recipient! Please join us in honoring these individuals at the Excellence in Education Celebration on Sunday, May 6 at 1 p.m. at MHS in Student Commons! The district is grateful for the generosity of the Roy J. Carver Charitable Trust for their continued support and funding of this grant.